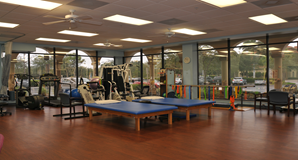 The Physical Therapy Department at Bonita Community Health Center provides comprehensive, exceptional rehabilitative services for our patients and our community in a professional and caring environment to assist in the restoration of their daily activities and quality of life. 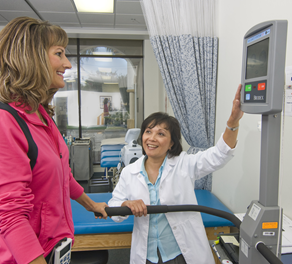 All of our therapists have undergone specialized training in their respective areas of interest. It is this knowledgeable, experienced staff along with our state-of-the-art equipment that enables us to provide the highest level of care to all of our patients. In addition, our therapists provide off site education programs in the community and in the workplace regarding a variety of current health-related topics. With over 100 years of combined experience our team of licensed professionals is here to help you reach your personal best. 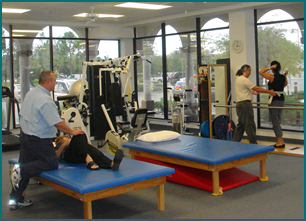 Our Physical Therapy & Occupational Therapy department has been proudly serving the Bonita Springs and Estero communities for over 15 years. We accept Medicare and most private insurances. Mechanical Diagnosis and Treatment of the Spine. Biodex SD Balance system to accurately test and train balance disorders.